Compilation Includes an Eclectic Mix of Artists Including: Magic, Eddie Murphy, Beres Hammond, Spice ft. Vybz Kartel, Busy Signal, Gyptian, Romain Virgo, Dexta Dups, Inner Circle ft. Chronixx & Jacob Miller, Etana, Queen Ifrica, Ikaya, Toian, Jah 9, Jah Cure & Gully Bop. For over 20 years, the world's #1 Caribbean music compilation Reggae Gold brings the genre's top hits into one must-have collection for the masses. 2015's installment, out July 17, 2015 on VP Records, is filled with the season's freshest sounds in roots, dancehall, lover's rock and pop-fused reggae from a diverse group of talent. 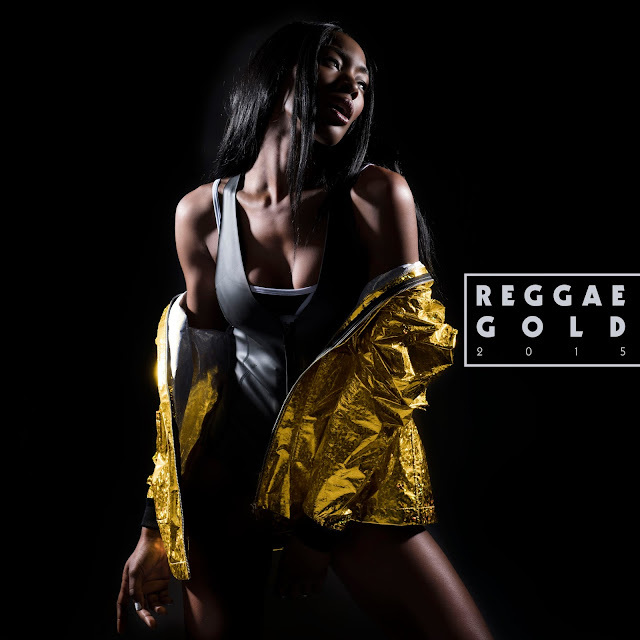 From the Canadian pop supergroup Magic's #1 Billboard single "Rude" to comedian/actor/singer Eddie Murphy's return to reggae on his latest single "Oh Jah Jah," (following his 1993 Shabba Ranks collab "I Was A King") - there is no shortage of crossover appeal on Reggae Gold 2015. This year's installation features a multitude female artists reigning in reggae today - from emerging stars like the Rastafarian singer Jah9 ("Avocado"), reggae pop princesses' Toian ("Love It") and Ikaya ("My Man") to Jamaica's leading ladies, like dancehall diva Spice ("Conjugal Visit" ft. Vybz Kartel), the soulful songstress Etana ("I Rise") and roots reality lyricist Queen Ifrica ("I Can't Breathe"). The latter song carries a strong message to stop police brutality and racial profiling worldwide. The set also delves into exclusive new music from Jamaica's top male artists. Jah Cure reveals his latest single "Made In California" off his upcoming album The Cure and the legendary crooner Beres Hammond delivers his stellar new anthem "Jamaican International Dance." Singer-songwriter Christopher Martin turns heads with the island's chart climber "I'm A Big Deal," while overnight sensation Gully Bop proves ground with his popular tracks " My God Dem Nuh Bad Like We" and "Body Specialist." Dancehall star Busy Signal drops lyrical fire on the flirtatious fun track "Text Message," and Gyptian unveils his latest steamy single "All On Me." Every song counts on this collection.